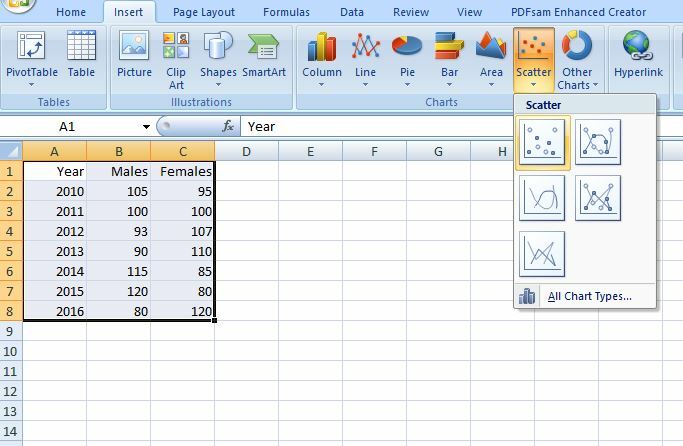 Microsoft Excel – a spreadsheet developed by Microsoft for Windows, macOS, Android, and iOS – features calculation, graphing tools, pivot tables and the macro programming language called Visual Basic for Applications. It comes bundled as part of Microsoft Office and can be used to represent data in meaningful ways. 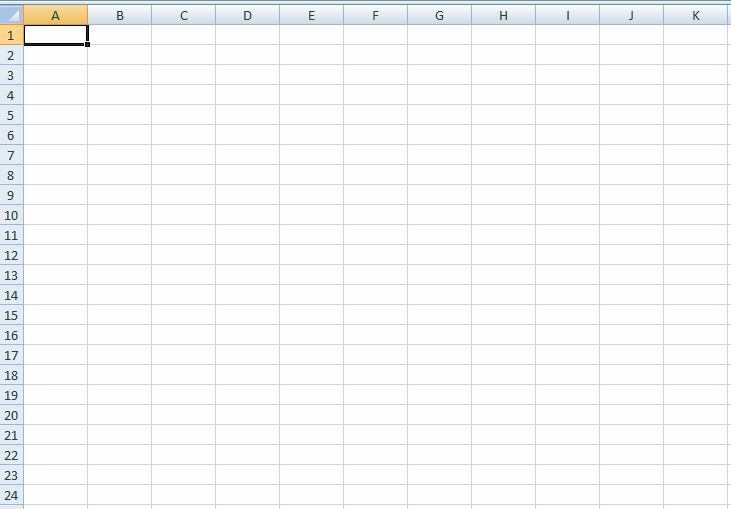 One of the most important uses of Excel is to generate graphs, also called charts. 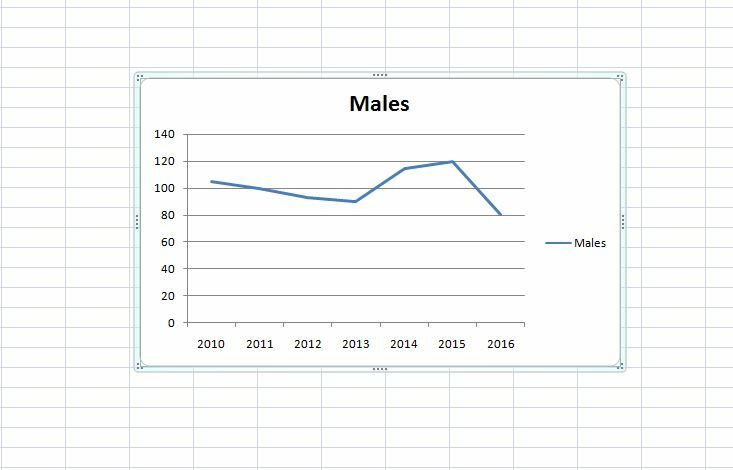 If you are new to Excel and do not know how to make a line graph in excel, this post will teach you how to make a line graph with pictures and illustrations. 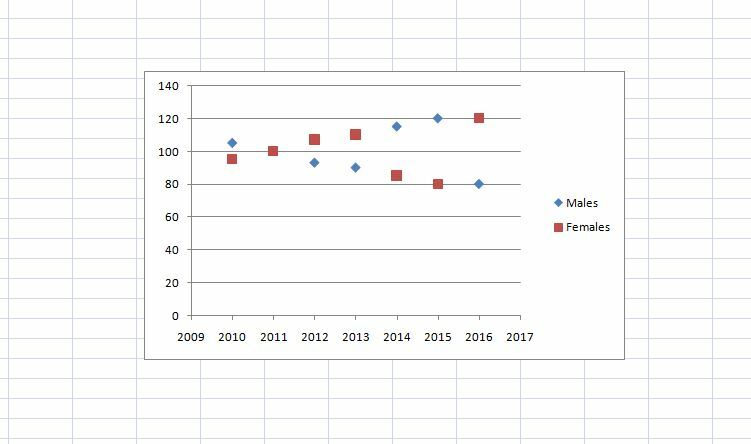 Before we dive into understanding how to make a line graph in excel, let’s understand when exactly we should use line charts/graphs. A line chart or a line graph is basically a type of chart which displays information as a series of points connected by straight line segments. Line charts come in handy when you have to visualize a trend in data over intervals of time. The time is often represented chronologically on the x-axis. If you have any data that varies over time and you know the intervals of time and the corresponding value of data at those instants in time, you can easily plot a line chart for the data. 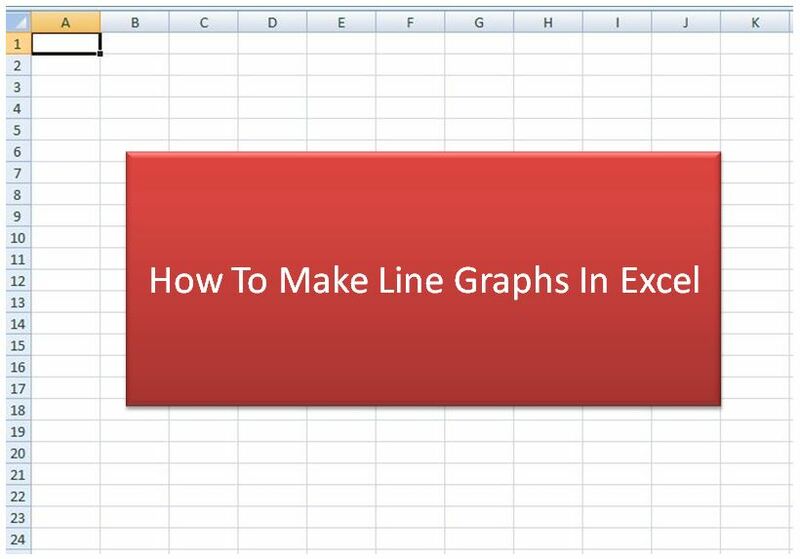 Let’s now take a look at how to make a line a line graph in excel. Follow the steps below. The columns are named A, B, C, D, E and so on. The rows are named 1, 2, 3, 4, 5, 6 and so on. 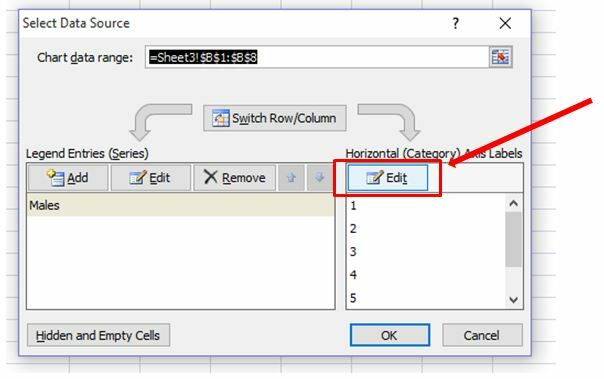 You can enter data in what are called “cells” – that correspond to a particular row and column. For example, the one highlighted in the image above is a cell, corresponding to row 1 and column 1. Select the range of cells covering the data for all Males. In our case, the column B for rows 1 to 8 needs to be selected. Select Insert tab from the menu ribbon. You will see “Column”, “Line”, “Pie”, “Bar” and so on. Select “Line”. 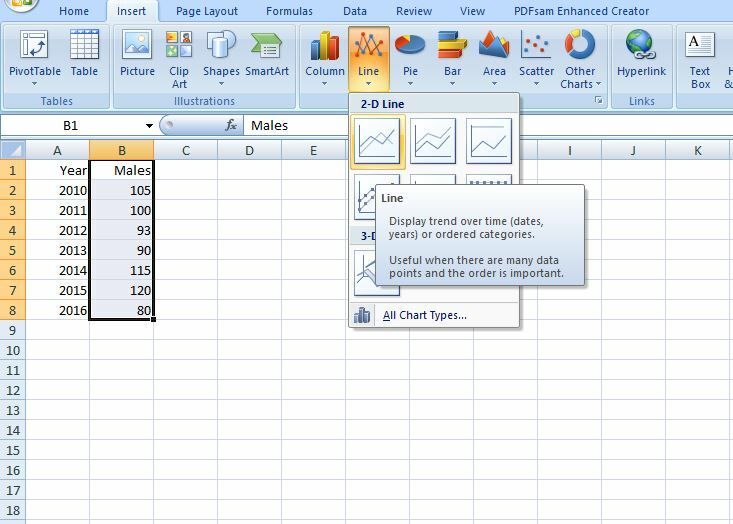 The answer to “how to make a line graph in Excel 2013” or “how to make a line graph in Excel 2016” is the same! This method works across most versions of Excel because the UI has pretty much remained the same since the introduction of ribbon style of menu in Excel. 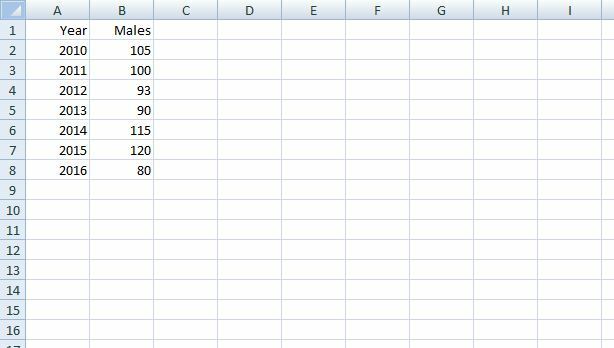 Now that we know how to make a line graph in Excel, let’s also take a look at how we can create multiple line graph in Excel. Check the steps below. 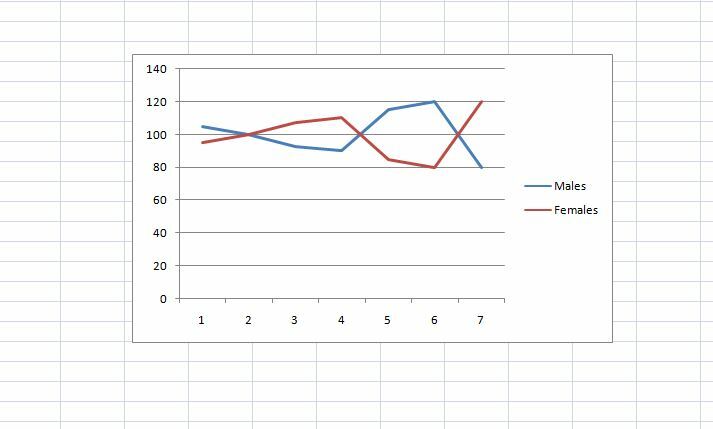 And now, the resulting graph will have the data corresponding to both Males and Females on the y-axis. Simple, isn’t it? 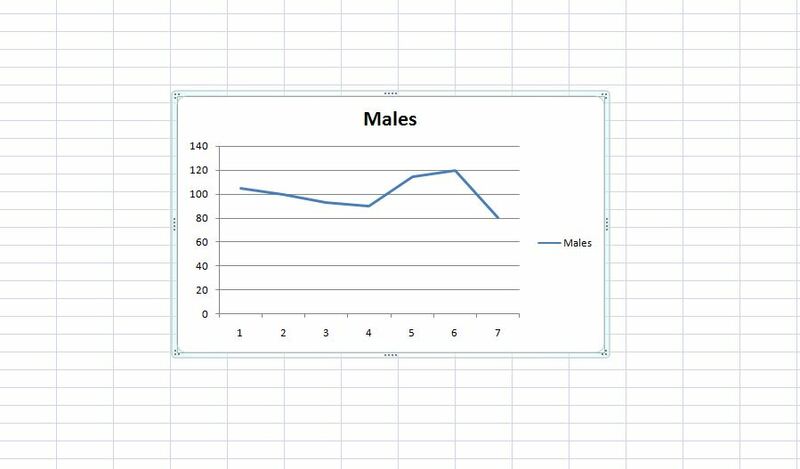 So now you know how to make a line graph in Excel and also know how to make multiple line graph in Excel. Before we wind up, there’s one important thing you must know – the difference between line graphs and scatter graphs. Scatter charts are commonly used for displaying and comparing numeric values, such as scientific, statistical, and engineering data. These charts are useful to show the relationships among the numeric values in several data series, and they can plot two groups of numbers as one series of XY coordinates. 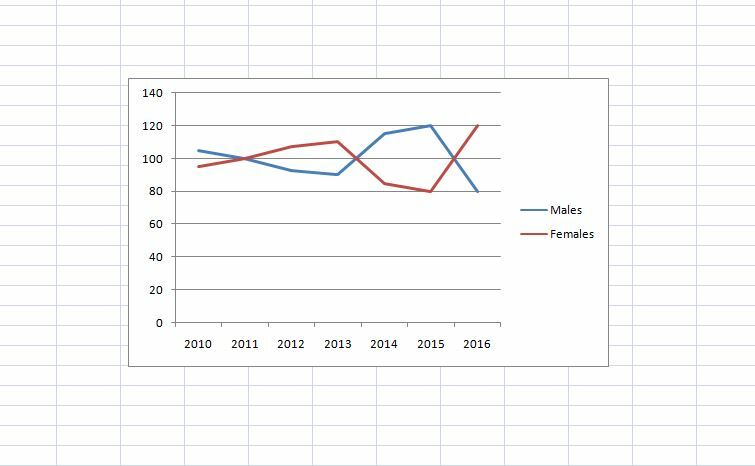 Line charts can display continuous data over time and as we saw, are ideal for showing trends in data at equal intervals or over time. In a line chart, category data is distributed evenly along the horizontal axis, and all value data is distributed evenly along the vertical axis. That’s it folks! 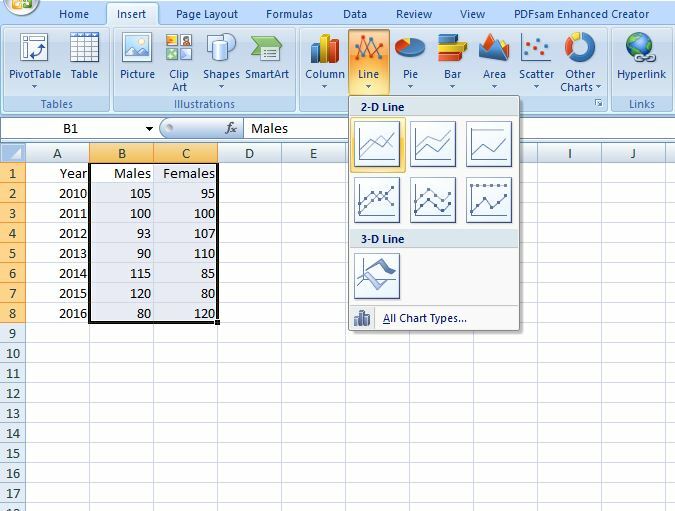 Hope you now know how to create a line graph in excel. Do let us know if you faced any bottlenecks while plotting line charts or scatter charts in Excel. We’d love to hear from you!